There are a ton of ideas out there on how tocome up with content inspiration when you're stuck. But my favorite content trick comes from customer Marcus Sheridan -- and it's so good, even the New York Times approves. All you have to do is answer the questions your audience is asking. And how can you do it? 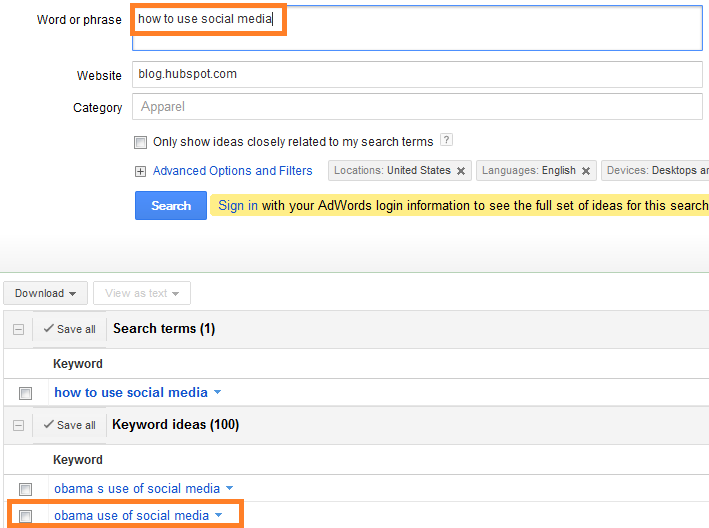 One way is through keyword research! You can do this with any keyword research tool -- we use HubSpot's Keyword Tool to do this, but if you're not a HubSpot customer, you can use your own tool. We'll show you how to do it in this post using Google's AdWords Keyword Tool, since everyone has access to it. 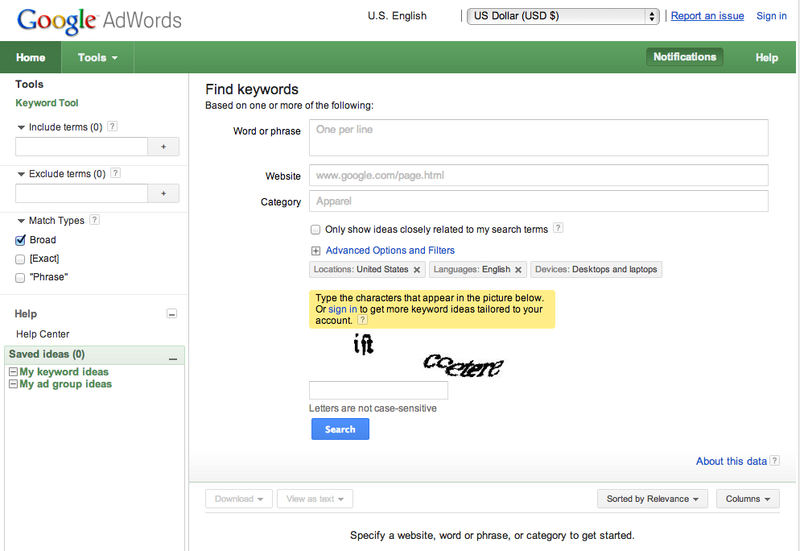 Enter your domain name, and fill out the captcha text to see which keywords you might want to target. You'll now see a list of keywords. Your sweet spot will be keywords with some significant search volume -- not too high, not too low -- and Low or Medium competition. You'll be able to sort by these factors by clicking on the words, sorting the numbers by highest or lowest. Once you've sorted the way you like, look for long-tail keywords -- keyword phrases that are typically three words or more -- off of which to generate topics. Long-tail keywords are excellent for blog content, because they're often problem-oriented phrases, or indicate problems that people need solving. 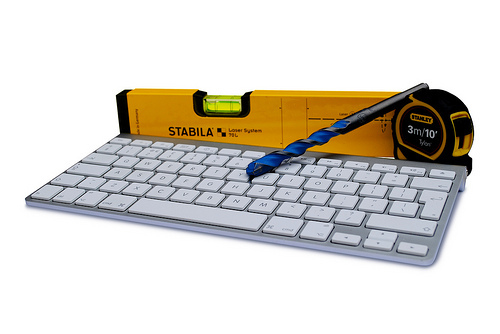 This aligns with how-to content that typically performs very well on a blog. 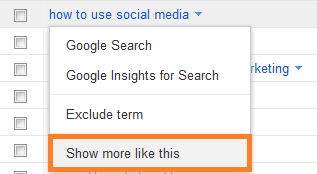 Select "Show more like this," and you'll be taken to a screen with keywords that are similar in nature, but not exact, to the original phrase. In this example, we could perhaps write a post like, "Lessons for Marketers From Obama's Use of Social Media." If you ever want to topic brainstorm around a more specific topic, you can always simply input that topic or keyword phrase in the "Word or phrase" box from the get-go, too.